A U.S. Marine held in Mexico for five months has been getting a lot of support from fellow Americans, who are insisting the president do something about his incarceration. More than 134,000 people have signed a petition asking the Obama administration to “demand” the release of Sgt. 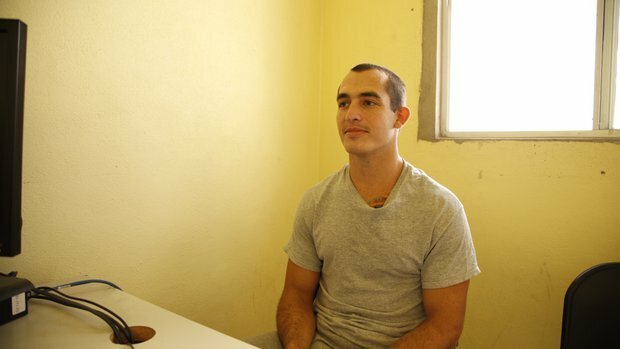 Andrew Tahmooressi, NBCMiami.com reported Friday. The 26-year-old was jailed in May when he took a wrong turn into Mexico and authorities found three firearms in his pickup truck. The veteran of two tours in Afghanistan, Tahmooressi suffers from post-traumatic stress disorder, according to news reports. The Veterans of Foreign Wars is also demanding that the administration impose sanctions on Mexico, asking millions of military personnel and veterans to call and email the White House to demand Tahmooressi’s release. “At this point, it’s asinine that a government – especially that of our immediate neighboring country, and one we’ve had a historically good and mutually beneficial relationship with at that — has gone to such extremes over an honest mistake,” Veterans of Foreign Wars’ national commander, John Stroud, told Military.com. Imposing sanctions on Mexico “seems the least [Obama] can do at this point,” Stroud added. The administration’s response to the petition was predictably noncommittal. “Mexico is one of the United States’ most important partners,” a statement issued by the White House said. “U.S. officials, including Secretary of State John Kerry, have spoken to Mexican officials at the highest levels regarding Mr. Tahmooressi’s case. Read the White House’s full response here.